Open any newspaper and you’ll find stories of ethical failure – think Wells Fargo, Equifax, Sports Direct, and Uber – leading to disastrous consequences for the board, shareholders, employees and society at large. When an organisation is under scrutiny for ethical misconduct, the spotlight inevitably shines on a senior leader – a person who is seen as having failed to deliver on promises, mishandled stakeholders, or attempted to hide rather than investigate alleged ethical wrongdoing. Take, for example, Nóirín O’Sullivan, the former Garda commissioner who was singled out following queries on how she dealt with officers who inflated the number of completed breathalyser tests. 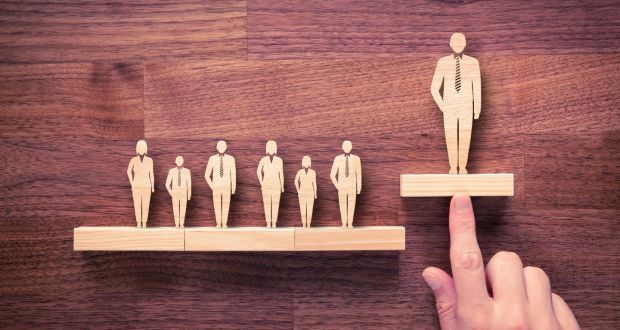 Although O’Sullivan may have a lot to account for, a single focus on a leader detracts attention from the day-to-day micro-ethical dilemmas that employees face at every level of an organisation’s hierarchy. In reality, what happens is that a senior leader steps down and the public is satisfied that ethics have been restored in the organisation. The case of O’Sullivan was no exception; she resigned, and the public moved on. But it is not always a senior leader who pushes an organisation toward ethical breach: instead, it is employees across the organisation who are often guilty of slowly nudging the organisation in the wrong direction through their responses to micro-ethical dilemmas. Your manager has emphasised to you the need for a strong financial fourth quarter. You heard rumours that a customer who contributes 20 per cent to your bottom line may be taking her business to a competitor. Suddenly, she contacts you by telephone and invites you to attend a golf trip. Your company’s policy states that you are to say no, but this policy is seldom discussed. You even know of cases where it has been overlooked in the past. The customer sounds impatient and wants an answer immediately. Your boss is away on holiday. Accepting this invitation may be your best chance for salvaging this relationship. What would you do? When I ask executives this question, about 60 per cent say that they would accept the offer. Although you may disagree with this majority, there is no right or wrong answer. It depends on the organisation’s values. Perhaps more telling is considering what managers in your organisation would do in this situation. If the answer is anything but a resounding “I am confident that managers would respond in a way that is consistent with the organisation’s stated values”, you’ve got some work to do on creating an ethically strong situation. An ethically strong situation is one in which people understand events in the same way, where there is clear information about the consequences of behaving (un)ethically, and where employees have the skills and motivation to do the “right” thing. An ethically weak situation, on the other hand, is one in which employees respond idiosyncratically to the above scenario, where the appropriate ethical response is unclear, and where there are few incentives to behave ethically. How do leaders create strong ethical climates? Katie Bailey from the University of Sussex and I set out to explore this question. We found three ways that leaders cultivate strong ethical situations. – First, leaders walk the talk. Our research showed that leaders spoke proudly about their own principles and claimed that their decisions were fair and caring. They assumed that, if they believed they were ethical, followers automatically knew that. However, our research uncovered major gaps between what managers and their employees think. Whereas 76 per cent of managers said that they have a compelling vision, only 47 per cent of employees agreed. The implication here is that leaders not only need to be ethical, they also need to be seen as ethical, by visibly championing ethics and values at every opportunity. – Second, leaders should recognise that rewards and discipline send powerful signals about what is (un)desirable behaviour. This means rewarding those who accomplish goals by behaving in ways that are consistent with the stated values, and making those rewards visible so that the cause-and-effect relationship is understood. It also means publicly punishing employees who breach ethics. If an employee makes racial slurs at work, does that person quietly resign and seemingly disappear, or does senior management announce in a town hall meeting that this behaviour is not tolerated? – Finally, leaders need to ensure that the organisation’s values are embedded in human resources practices (ie training, performance management), and articulated in a statement of ethics, reflected in the annual report. While the CEO must take the lead to give credibility to the values, s/he needs strong board oversight, and the board should engage a third party annually, to benchmark organisational performance. Given the prevailing competitive business climate, coupled with a growing determination of employees to work for a higher purpose, the need for leaders to cultivate strong ethical climates has never before been so pressing.